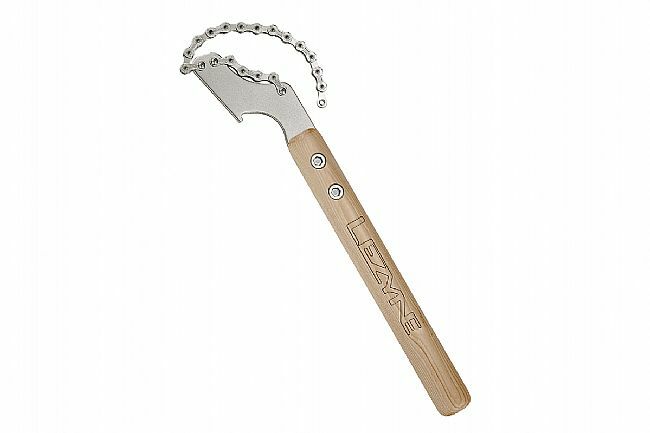 The Classic Chain Rod is a heavy-duty, shop quality chain whip. 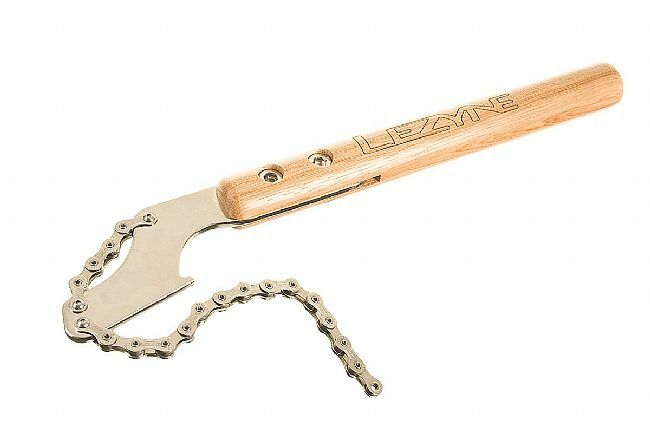 The custom Lezyne chain is attached with stainless bolts for easy chain replacement (8/9/10 speed compatible). Tool head is made of a stamped, CNC-machined, heat treated steel plate with integrated lockring tool. Shaped and varnished wood handle for classic look and comfortable grip. Stainless and high-strength steel fastening hardware for durability. The Classic Chain Rod measures 383mm (13.3 inches) long.